What is the Proverbs 31 woman look like? In modern day Christian churches, the Proverbs 31 wife/woman is portrayed as the ideal character for every girl to strive to be from a young age. This chapter in the Old Testament depicts a woman who is readily equipped for any and every situation as she tends to her house, children, and most importantly her husband. But are the characteristics described in this chapter relevant to what men want in today’s world? According to this study by the University of Texas, physical appearance seems to be at the forefront of the typical, American male’s mind when it comes to relationships. Does this mean they are looking for women whose ‘arms are strong for her tasks’, as described in verse 17 of Proverbs 31? Quite honestly, probably not. People Magazine recently released its top picks for the ‘Most Beautiful People of 2011’, and with J. Lo taking the number one spot for females I can’t help but compare her to what we briefly talked about in class during our day devoted to Proverbs. Today’s perception of the ideal woman seems to be in direct contrast with what the 31st Proverb has to offer. The biblical woman is submissive, modest, and attentive to the needs of her family, yet today’s society emphasis is placed on woman empowerment and individualism. One woman that stands out in my mind as a leader of the modern day woman-mentality is none other than Beyoncé Knowles. This may make you chuckle, but if anyone follows this particular musical artist you are aware that she supports the role of females in society…with or without a man. She consistently advocates for women to succeed with confidence in whatever they are trying to achieve, because they are no longer under the complete control of the male race in today’s culture. In an interview with Beyoncé about her new all female band, she describes that her musicians could compete with any male artists on the market. See below for an example of a live performance by Beyoncé and her musical crew. The increasing role of women in the workplace, and the equality of power inside the home is not the compliant, Proverbs 31 wife that has dinner on the table at 6:00 on the dot every evening. In Hanna Rosin’s article regarding changing gender roles, she describes the ever altering places of males and females in modern day society. Does this present religious women in today’s culture as she tries to balance the biblical requirements with society’s norms? How does one stay within the boundaries of one area, without crossing the lines of another? For many women, such as the one featured in this New York Times article, finding the balance between the stereotypical home-driven lifestyle is not necessarily compromised. Internationally, modern day societies are progressively accepting women in authoritative positions in the workplace. Women (such as Veronika Bethke) are learning that having success in one area of passion does not mean failure in another. 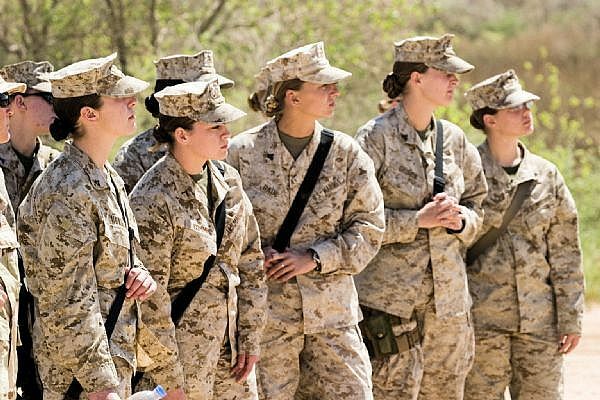 It is becoming a social norm that females are no longer bound to their lives of cooking and cleaning in the kitchen, but are expanding their horizons with opportunities in the executive field as well as serve in our nation’s armed forces. With rising occasions for females to succeed along with the ever changing gender roles in cultures around the world, is the Proverbs 31 woman something that can still be applicable to us as women in the 21st century? In a speech by Hillary Clinton regarding the rights and roles of women around the world, she emphasizes that women do much more than meets the eye. Having a voice in political matters, educating themselves on current headlines and foreign policies, as well as tending to the needs of those who rely on them for basic necessities, define women in today’s society. These characteristics along with others are morphing into what could be the new Proverbs 31 woman. Can these ideals change? And if so, how are they applicable? For more information regarding women in the workplace and gender roles in society, I thought this particular article was interesting. This entry was posted in Links Roundup. Bookmark the permalink.